Summer Collection 2019 by J. will be available for sale from 1st February online and in stores. Junaid Jamshed the renowned clothing brand in Pakistan has launched Summer Collection 2019 Vol.1. This summer collection by J. contains the Lawn, Jacquard and Chiffon dresses with Jacquard and Chiffon Dupattas and will go on live for sale from 1st February. Enjoy your style with Summer Collection 2019 Vol.1 with the Lawn, Jacquard and Chiffon dresses. There is a variety of dress with the amalgamation of different colors and prints. This summer collection includes different variety of designs embroidered and printed shirts and dupattas. 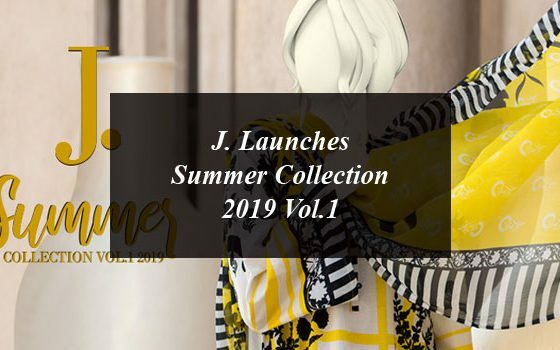 Summer Collection 2019 Vol.1 by J. includes three pieces suits, two pieces suits. . If you want to wear something new and stylish then hurry up and avail this summer collection 2019 that contains Lawn, Jacquard and Chiffon dresses. 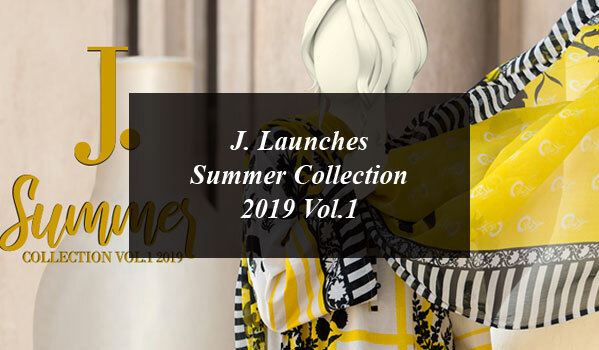 Go through Summer Collection 2019 Vol.1 by J catalog and pick your favorite style. For purchasing you can visit your nearest J. outlets and also switch to online store. Here check out the Junaid Jamshed Summer Collection 2019 Vol.1 with prices. J. Launches Summer Collection 2019 Vol.1 . Summer Collection 2019 by J. will be available for sale from 1st February online and in stores. TAGS: Chiffon dresses chiffon dupattas Jacquard ' Junaid Jamshed Summer Collection 2019 lawn Summer Collection 2019 Summer Collection 2019 by J.